[WARNING SPOILERS AHEAD! 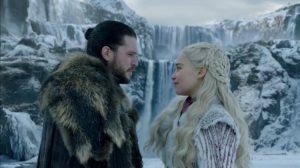 ]: With the release of Game of Thrones season 8 episode 1, time witnessed one of the most anticipated returns of any show in television history. We were all on the edge of our seats owing to the fantastic season 7 finale. Titled ‘Winterfell’ the episode was the epic start to the next and final season of the show. The one event that had us in goosebumps was that for the first time since season 1, all the surviving Starks finally gathered together under one roof! This was definitely a cause for celebration! 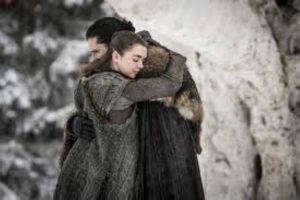 The bittersweet reunion of Jon and Arya got us teary-eyed for sure! ‘Winterfell’ was a preamble episode for sure and so there was no groundbreaking event. Yet, from the sweet siblings’ reunion to Sam’s delivery of earth-shaking news that Jon Snow is actually Aegon Targaryen, we were hooked. We loved the playful banter between Arya and Gendry (is Arya being proposed to the public as a lover now?). However, when Cersei expressed her desire to see Tyrion assassinated with the same crossbow that he used to end their father’s life, we were intrigued. 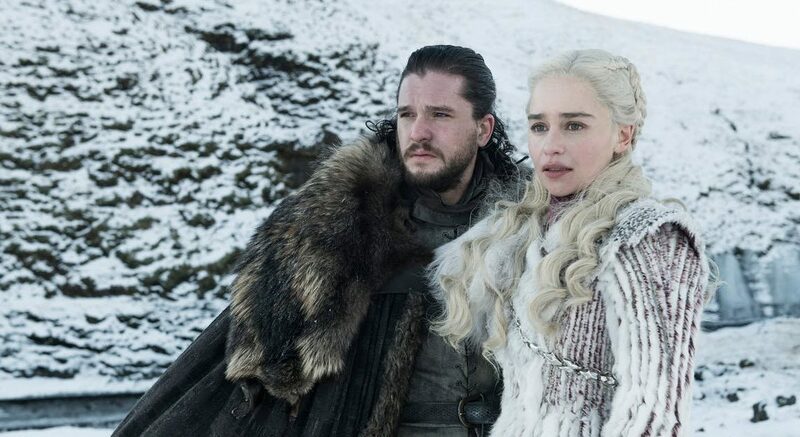 Apart from all reunions and revelations, an episode of Game of Thrones would most certainly not be an episode of Game of Thrones unless there’s at least one absolutely outrageous scene involved. For us, it was the Mad Queen this time. Cersei under Euron’s icky touch got us cringing. Ugh. However, it being a bridge episode, we weren’t expecting any fireworks and surely there weren’t any delivered. Our heart did melt when Jon rode a dragon. A true Targaryen, eh? We understand that it served as sewing the finale of season 7 with season 8 — and the new episode provided just that. We can’t wait to see the story develop further. It will be epic!